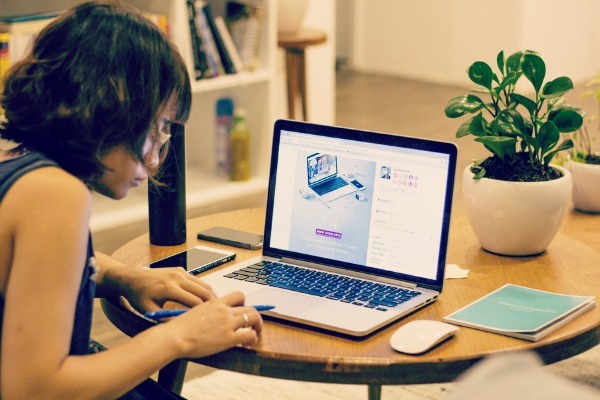 How to improve your office productivity with these simple tricks. Some people can spend their hours scrolling through Facebook, or simply not dedicating their mind to one task – but it’s easy to get stuck in a bad cycle of unproductivity. Unfortunately, having regular coffees to pep you up is simply not the answer (no matter how much you love coffee). So, we’ve collected some of the best tips to making your work day more productive – and maybe even getting an early mark. No matter what article you read on productivity, planning always seems to come up. Yes, it may seem boring but it is the simple things in life that can make it a whole lot easier. As soon as you get into the office, write down your plan of attack. Write those down and then organise in what order you’re going to do them. To allow enough time to get your plan ready, arrive at the office just a few minutes earlier. We know – you’re already struggling for time. But, if you can take those couple of minutes to focus on what needs to be done and destress yourself before a big day, then they will be useful. Go green on your desk. In the past few years, there has been a surge in the ‘lean office’ philosophies. The idea that our minds are cleansed when there are little to no distractions was something that former British Prime Minister, David Cameron, enforced in his offices. But, study after study supports that by having greenery in your office or on your desk is strongly correlated to an improved performance at work. In a study published by the American Psychological Association, it found that after studying three unique workplaces employees who have gone green have a more positive relationship with their work and others around them. Some of our work at Trans-Plant. Not only that, greenery was far more favourable to an individual’s concentration, their work engagement, and also their perception of air quality. These results weren’t just for a few days but sustained for employees in the long term. 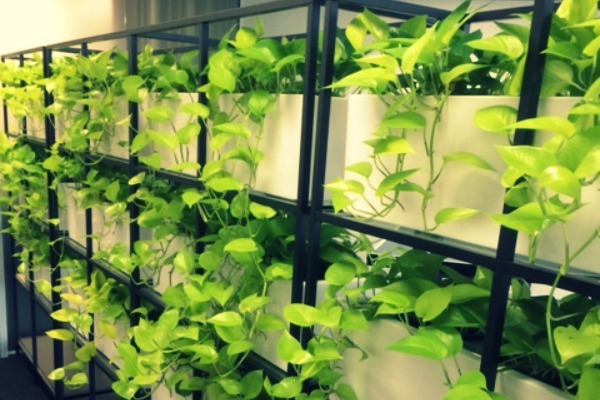 International research has supported that the introduction of plants into the workplace environment increases productivity up to 12% and attentiveness by up to 27%. In addition, plants have directly measurable benefits for the personal wellbeing of your staff and clients. It doesn’t matter how big or small, but by adding a little bit of the outside to your inside can have dramatic positive influences on your working day. At Trans-Plant we offer a wide variety of indoor plants for hire, along with decorative pots that can add vibrancy to a mundane environment. Do your most dreaded task first up. We all have that one job that keeps getting pushed to tomorrow. It sits on the back of our minds all day until we hit 5pm and then decide it can just be done later. Well, those days are gone because it’s time to use your mental energy on doing that task, rather than thinking about it. Business News Daily writes that if you tick off that task, it makes you more productive with your other ones, and even makes them seem less daunting in comparison. Get up and leave your desk. It’s so easy to get caught up in your work. So much so, that by the end of the day you haven’t stood up once. And, guess what, that’s not good. Even though you might feel tied down with work, you are not nearly as productive multi-tasking eating and working. Take the time to have a lunch break, chat with colleagues, or even just be alone. You can do even better by every few hours planning to have a mini-break. But, we understand that it’s one step at a time. If you haven’t heard of this rule before then, get ready for your world to be revolutionised. The two-minute rule follows the idea that if a job pops up that can be done in two minutes, then just do it immediately. So, that means if you finish your lunch, and it will only take two minutes to wash up your plate, then do it then. Don’t wait until the end of the day and accumulate all your two-minute tasks, but knock them off as they come. It may sound simplistic, but you won’t believe the change it will make in your average day. Oh, the ever-present problem of emails. They can be the bane of the existence, but for most people – you can’t keep working without them. Many people, if they don’t like the task they’re doing, will start checking their emails simply as a distraction. Leave your emails for just one time. On the other hand, there are a class of people who tend to stack their unread emails up until there are thousands waiting for you. Either way, it’s good to schedule one hour a day dedicated to sending and answering emails. If organisation is your thing, then creating folders for your emails such as ‘immediate response’, ‘tomorrow’, or ‘by the end of the week’ may be a good idea. You can even set yourself the goal of having zero unread by the end of the day, or something a tad more achievable by the end of the week. At Trans-Plant, we know how easy it is to always feel two steps behind the rest of the pack. That’s why we’re dedicated to providing you indoor plants that can not only make your work day more productive, but even a little bit more enjoyable.